ISO/IEC have approved the LonWorks platform to the highest level of international standards recognition. This ratification will enhance the adoption and usage of this technology within the worldwide controls market and specifically in the buildings vertical. While the LonWorks platform is also used in many other markets, such as outdoor lighting, transportation, utility, process control, and home automation, the majority of the millions of installed devices have been installed in or around buildings projects. LonMark International offers a variety of educational programs, training classes, and certification programs for control networking industry professionals. New classes are now online and available as self-paced certificate programs. 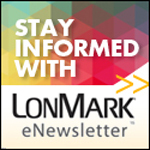 The LonMark Certified Professional testing program is also now available online. No need to go to a testing or training center. Now with multiple language support, these programs strive to provide the most relevant educational programs for control networking professionals available. Program details here. Job Hunting? Looking for Quality Employees?